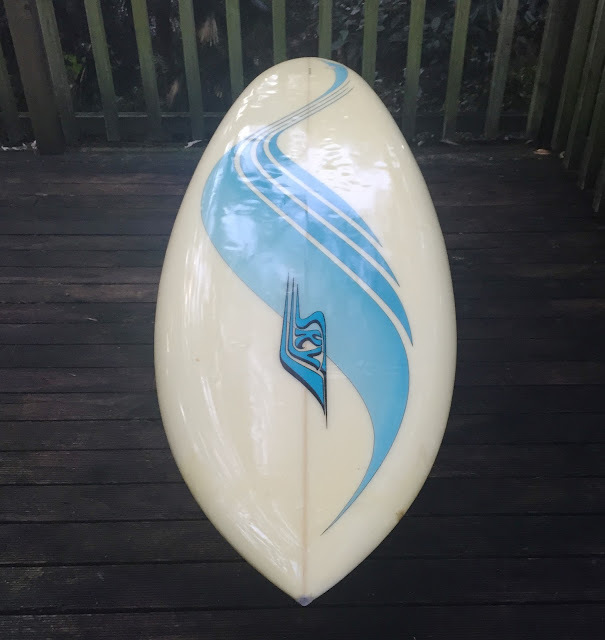 : Board Collector: Sky, rounded pin tail twin fin by Greg Melhuish. 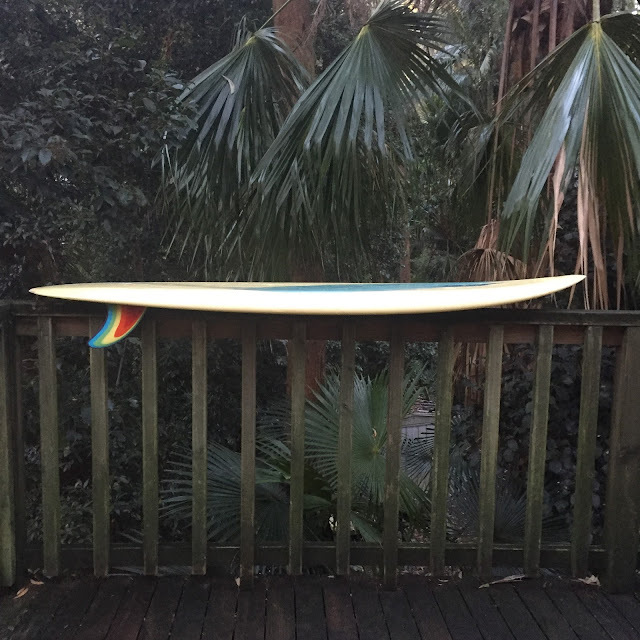 Sky, rounded pin tail twin fin by Greg Melhuish. 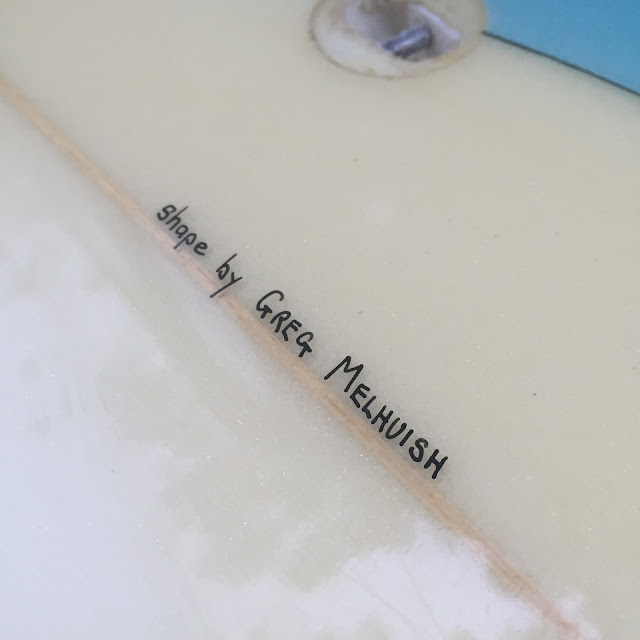 I'm pleased to share with you today my late 70's Sky rounded pin tail twin fin shaped my Greg Melhuish in Byron Bay. I didn't find the board, the board found me. I was contacted by a lady from Angourie in northern new south wales who had a son who was tragically killed in a motor cycle accident in 1982 when he was in his early twenties. She had kept all his stuff in the garage until now and was looking for someone who would properly appreciate his board. Naturally I promised that I would. I took it for a run at Broken Head near Byron Bay. 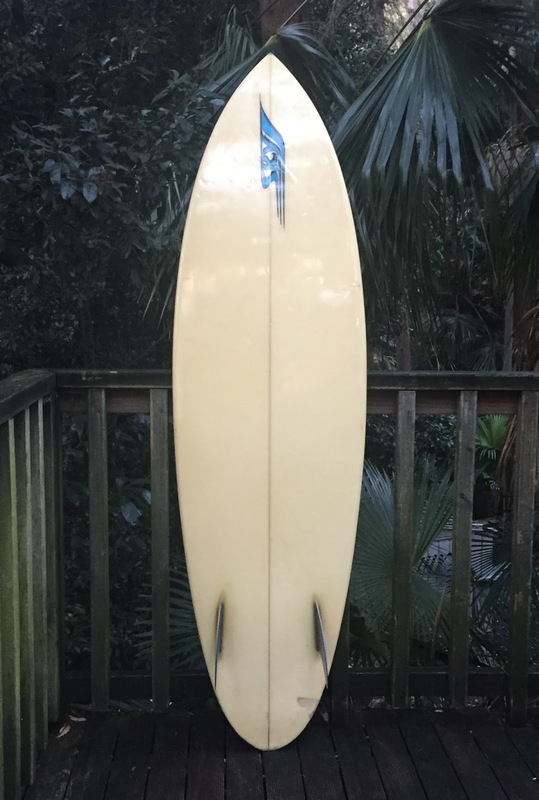 I felt privileged to take the board for its first surf in 34 + years. 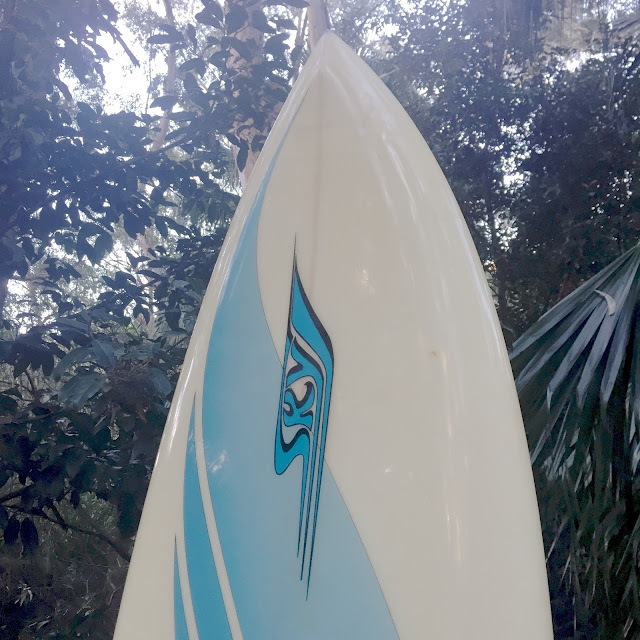 I have ridden lots of twin fins, but nearly all of them have been single fly swallow tails. This was the first rounded pin tail and I could really feel the difference! There was a smoothness in the turns that was really noticable. I think I might be a convert to this elegant and simple tail shape. Greg is an accomplished surf from Cronulla who made a name for himself on the points and reefs of the Shire before relocating to Byron Bay in the late 70's. He made many boards under his own label before moving north and shaping for Sky. 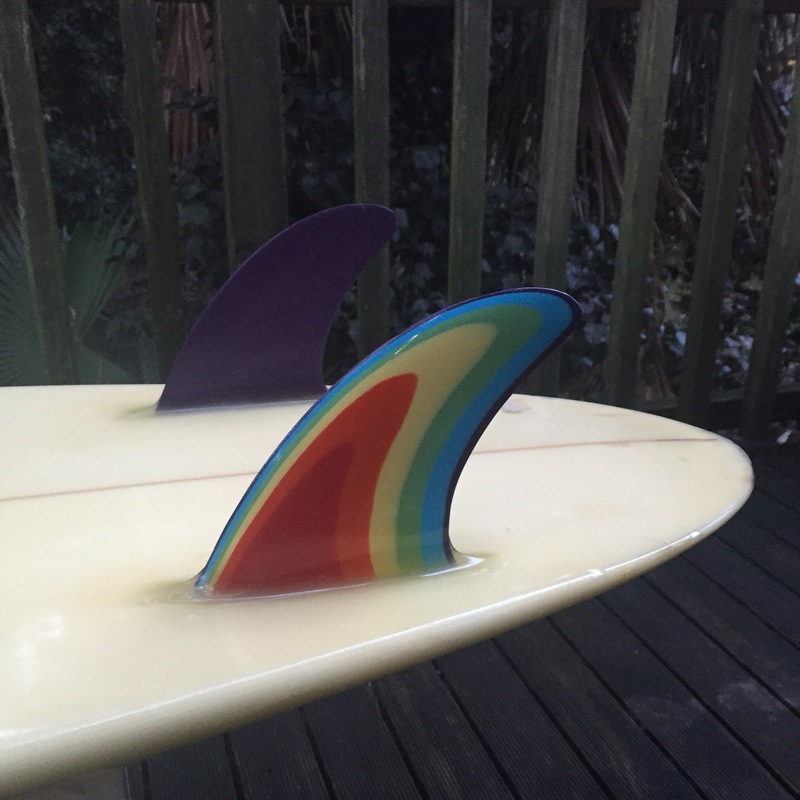 One of the highlights of this board for me is the multi coloured rainbow laminate fins. I saw your blog on the Sky round tail twinny. 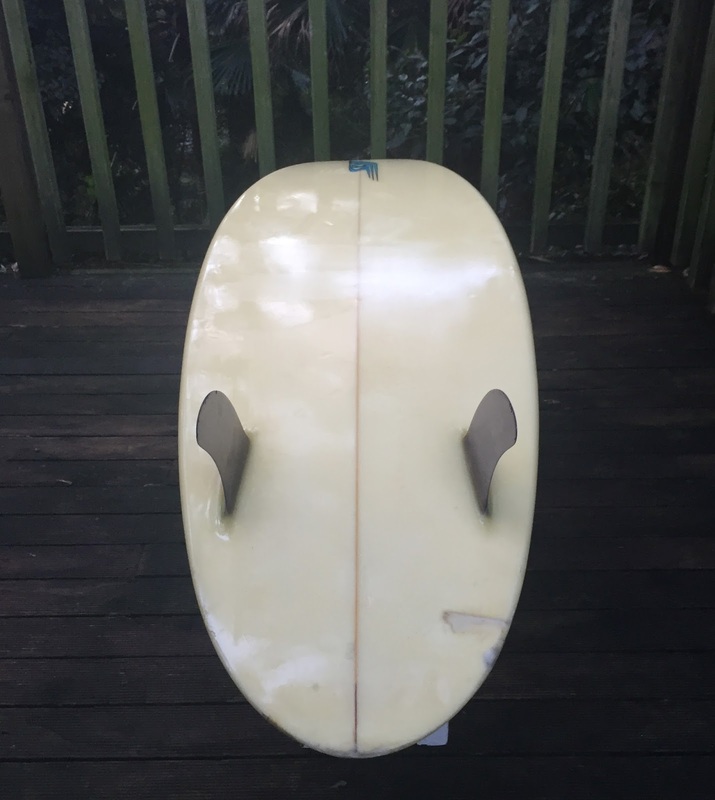 What a great board and a typical Melhuish shape. I've got a bit of background for you re "Meloo" as we called him. I grew up with Greg at Kyle Bay (upper Georges River near Blakehurst), have known him since infants school, what a character ! We also played Rugby together for about 12 years. We both got our first boards at the same time in 1966 just before the Transition boards hit the scene. All we talked about at high school was boards, fins, rails, winds, tides, swells, boardriders clubs, (and chicks). We surfed the beaches at Cronulla at first and then graduated through the intense pecking orders at Cronulla Pt and Sandshoes in the late 60's and 70's until we were accepted as "locals". Before any of us wormed our way into part time work in the south side board factories we made a lot of backyard boards, mostly in Geoff Solness's backyard shed at Carss Park. 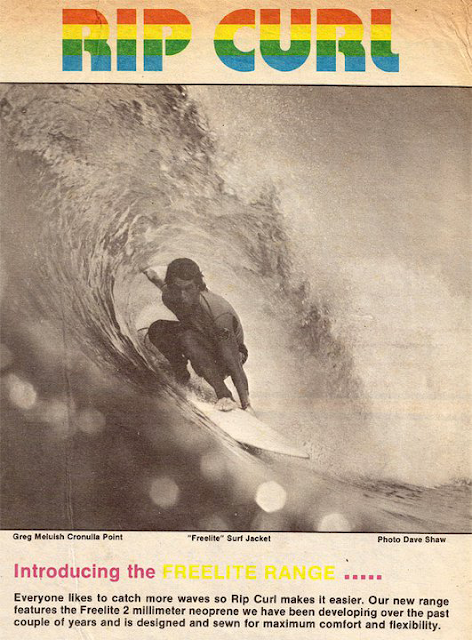 I was glassing, Meloo & Geoff shaping and after a while we were producing decent quality boards and selling them to the grommets out the point. 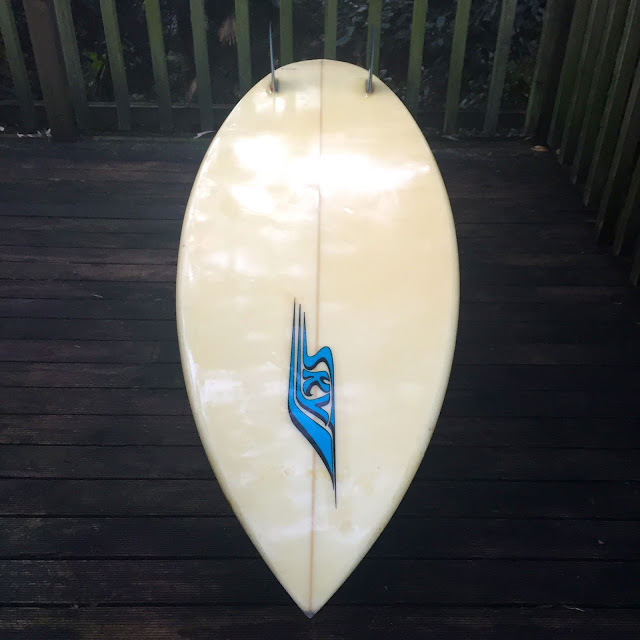 Meloo learned most of his shaping skills from master shaper Peter Glasson (G&S, Peter Clarke, Colour of Thought) and Greg became an accomplished shaper and his boards worked really well in power surf breaks like Cronulla Pt, Shark Island & Voodo, but he was such a bloody perfectionist his production rate was lower than the other shapers. 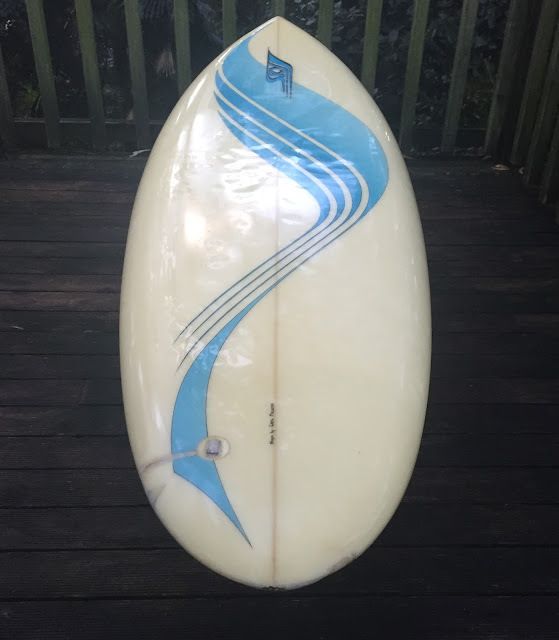 I've got a few of his boards in my collection and they are all really clean shapes and mostly round tails. He was a big advocate for roundtails. I had countless "pintails Vs roundtails" debates with him. We were best mates back in those days and then he moved away to Byron. Your blog has prompted me to catch up with him so I'll give him a call. 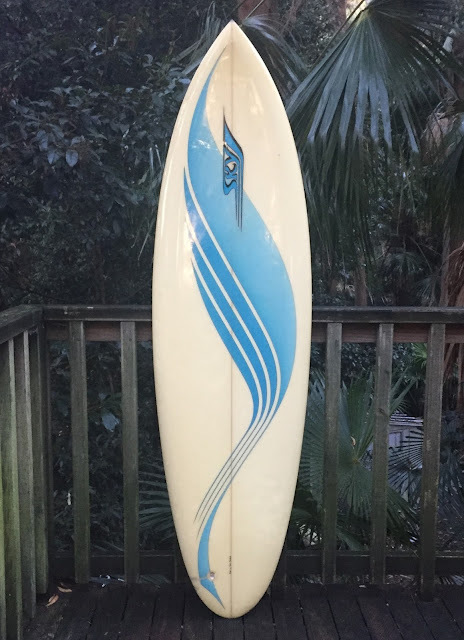 Surf Antiquarian- by Shelly Jones.